It rained a lot the past few days and I have been loving it. Do you like the rain? I think it's so cozy being home with the rain pounding against the windows and all I've been feeling like doing is baking something comforting. Most of the time that would be something sweet, but I was feeling like something warm and savory. . . so I made bread. This bread is so cheesy and delicious. 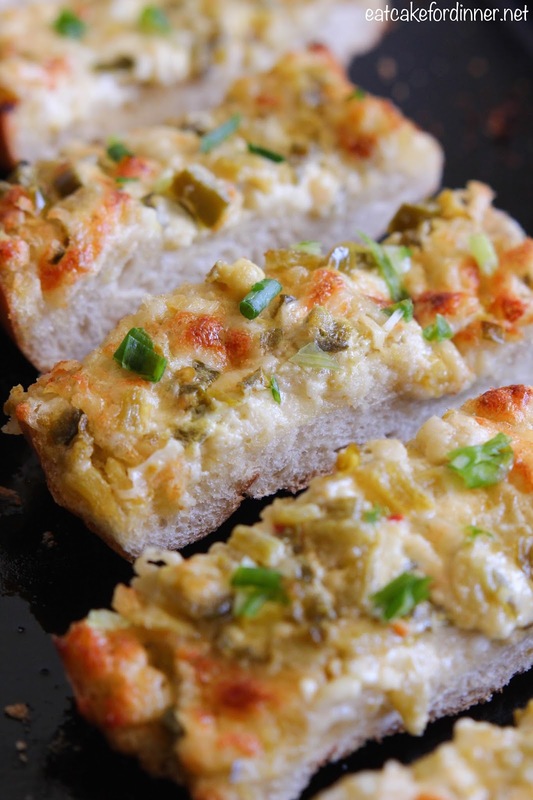 The crisp french bread topped with a creamy and slightly spicy topping is out of this world. I served this alongside some spaghetti, but I could eat this for dinner and be completely satisfied. This bread is so comforting and should totally be eaten on rainy days (or any time you are feeling like something cheesy and amazing). Preheat oven to 325 degrees. In a medium bowl, combine butter, Mayonnaise, jalapeños, green chiles, shredded cheese, green onions, cumin and garlic powder and stir together until well combined. 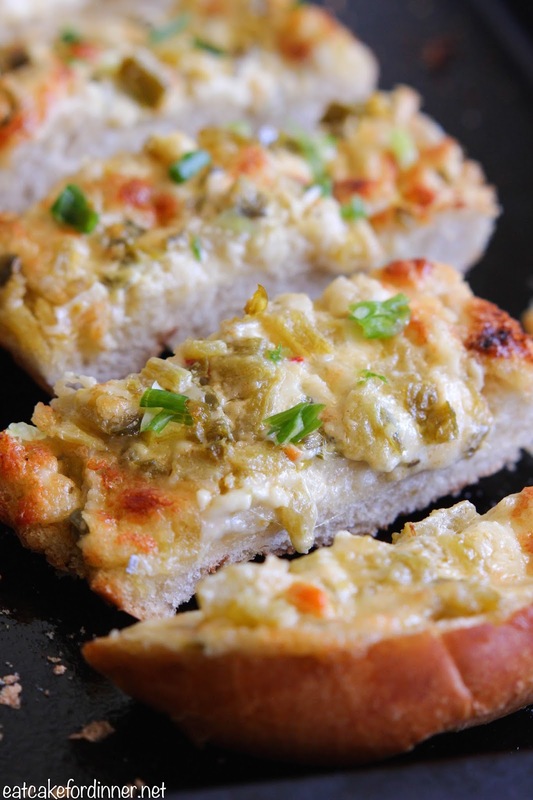 Place bread on a large cookie sheet and spread cheese mixture over both halves. Bake for 20 minutes, then broil for a few minutes to brown the cheese. Slice and serve.